The Administration for Children and Families ACF announces the availability of approximately $500 million to be competitively awarded for the purpose of expanding access to high-quality, comprehensive services to low-income infants and toddlers and their families through Early Head Start-Child Care EHS-CC Partnerships, or through the expansion of Early Head Start services. ACF solicits applications from public entities, including states, or private non-profit organizations, including community-based or faith-based organizations, or for-profit agencies that meet eligibility for applying as stated in section 645A of the Head Start Act.For more information, interested applicants should visit http://eclkc.ohs.acf.hhs.gov/hslc/hs/grants/ehs-ccp.Please note that the funding opportunity number FON has changed to HHS-2015-ACF-OHS-HP-0814. 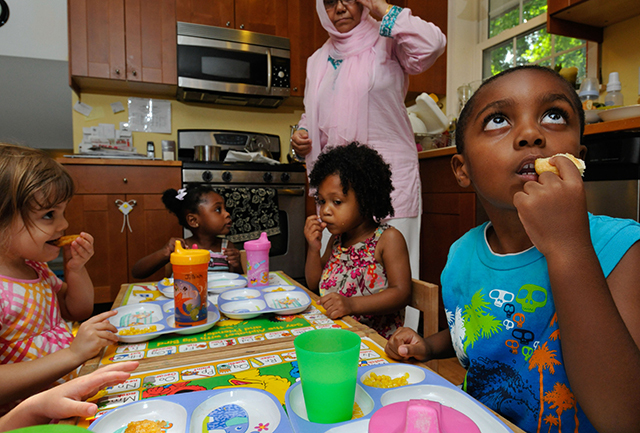 The Administration for Children and Families (ACF) announces the availability of approximately $500 million to be competitively awarded for the purpose of expanding access to high-quality, comprehensive services to low-income infants and toddlers and their families through Early Head Start-Child Care (EHS-CC) Partnerships, or through the expansion of Early Head Start services. ACF solicits applications from public entities, including states, or private non-profit organizations, including community-based or faith-based organizations, or for-profit agencies that meet eligibility for applying as stated in section 645A of the Head Start Act. Please note that the funding opportunity number (FON) has changed to HHS-2015-ACF-OHS-HP-0814.